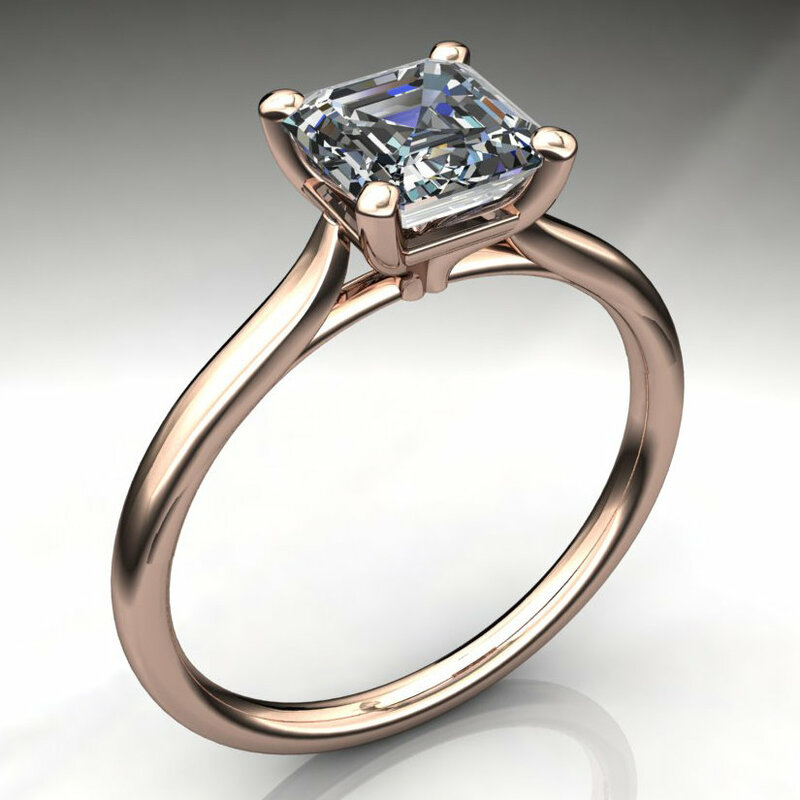 This is a more delicate version of the sabre with a 1.8mm rink shank. 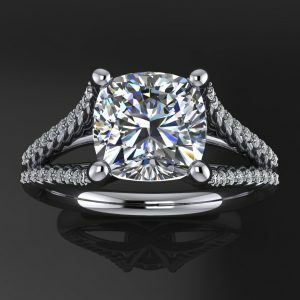 The side view is beautiful, with elegant lines. 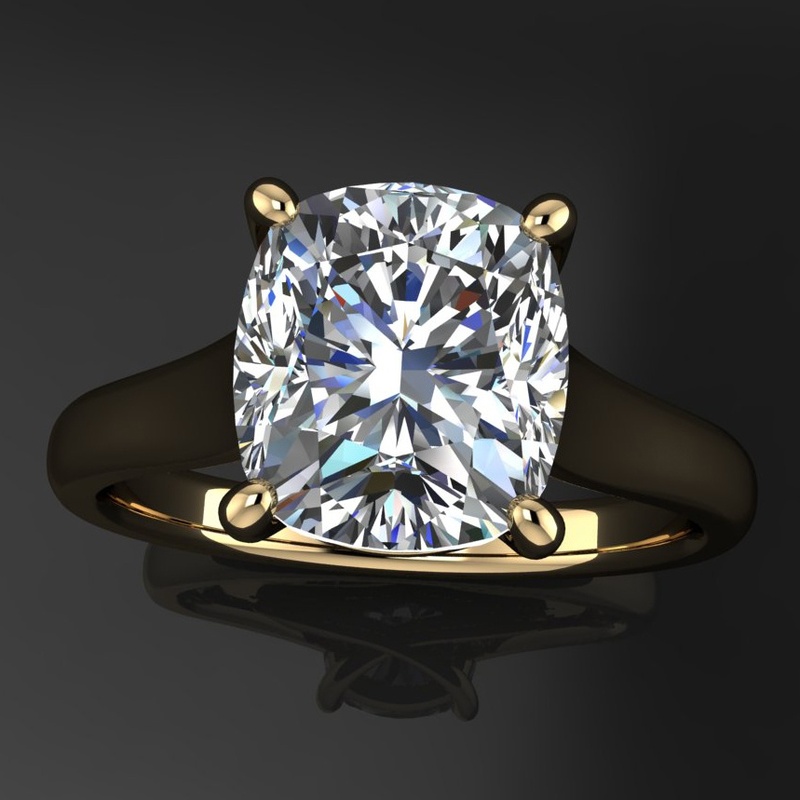 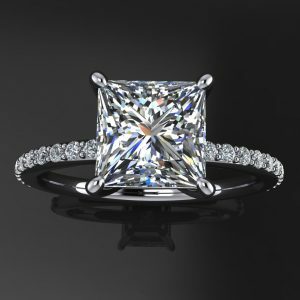 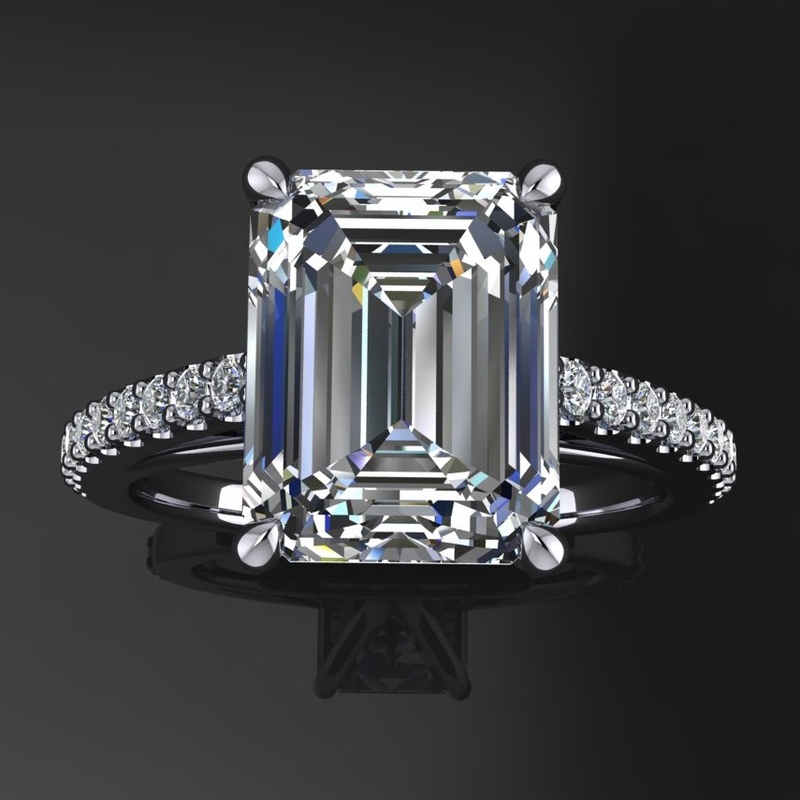 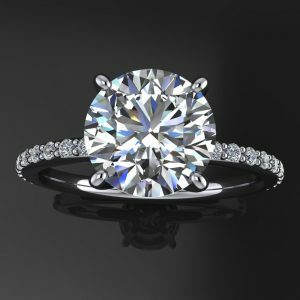 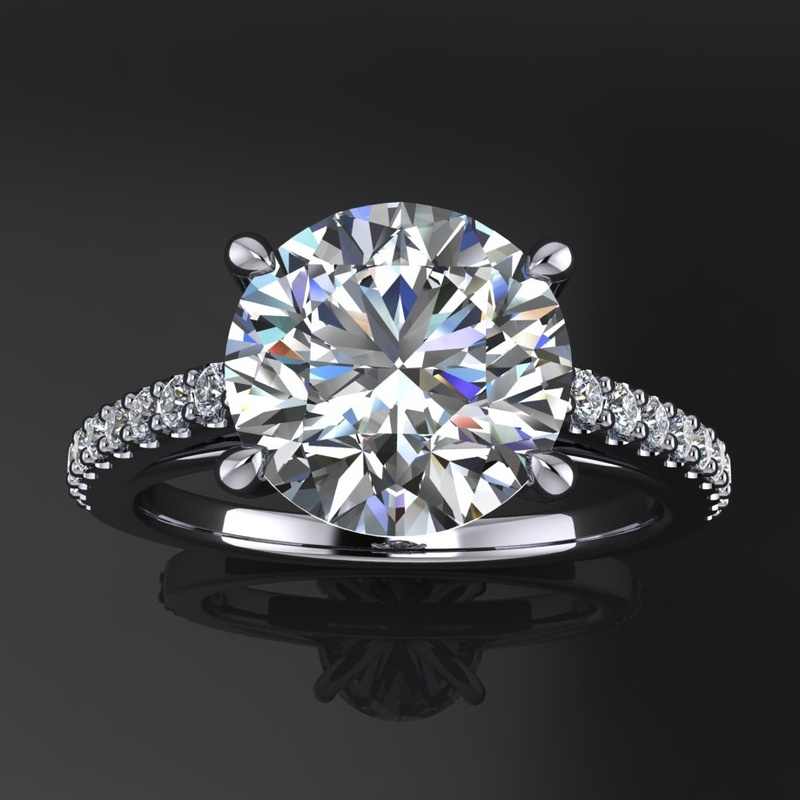 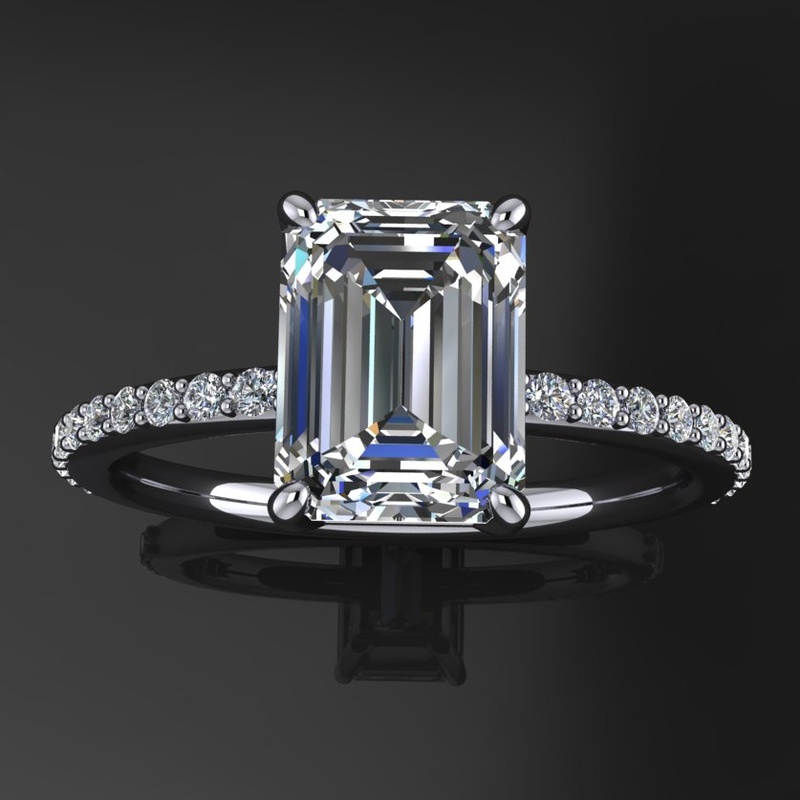 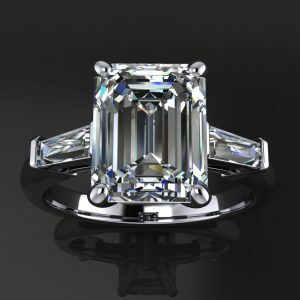 This elegant ring features a gorgeous 1.3 carat asscher Forever One moissanite. 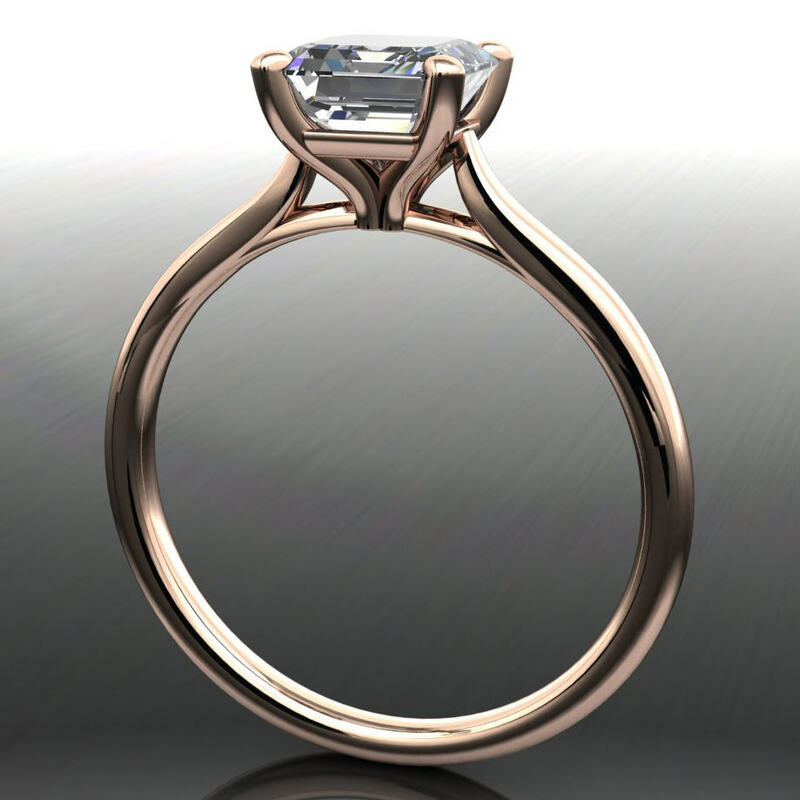 The side view of the sabra is beautiful, with elegant lines. 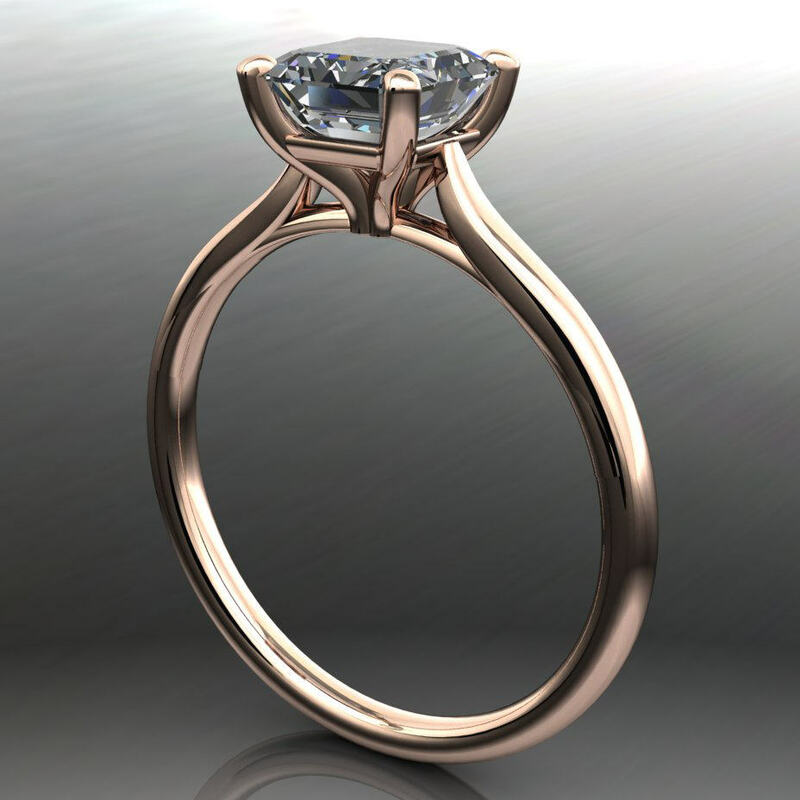 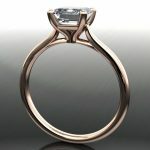 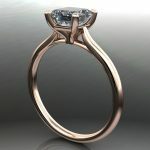 These pictures show the sabre in rose gold, but this ring is gorgeous in any metal. 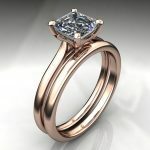 The band has been narrowed down to 1.8mm, a more delicate setting. 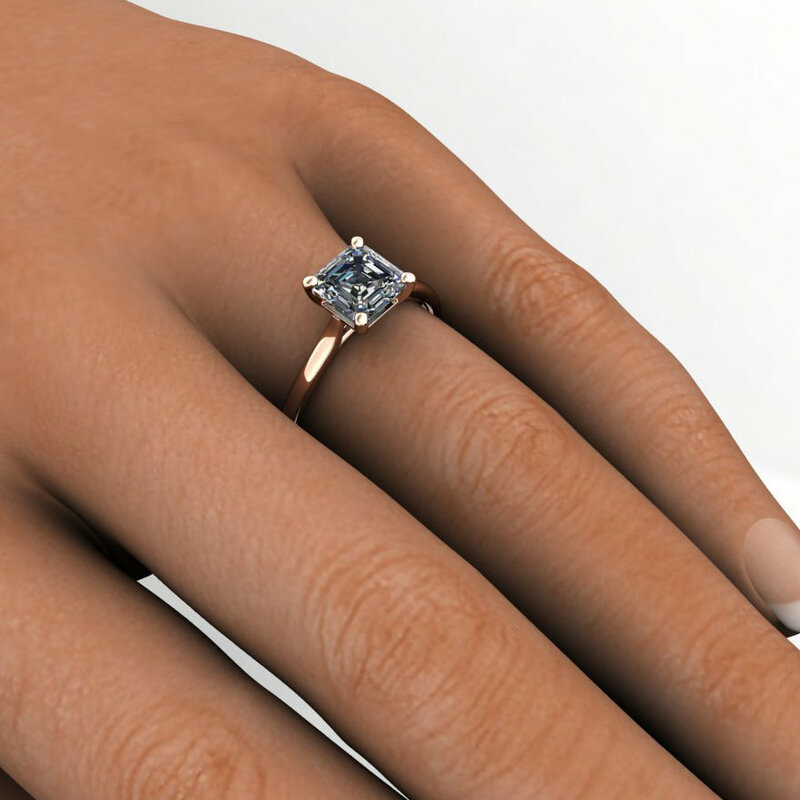 Our standard sabra has a 2.5mm wide ring shank. Wedding band shown in the last photo is available separately. 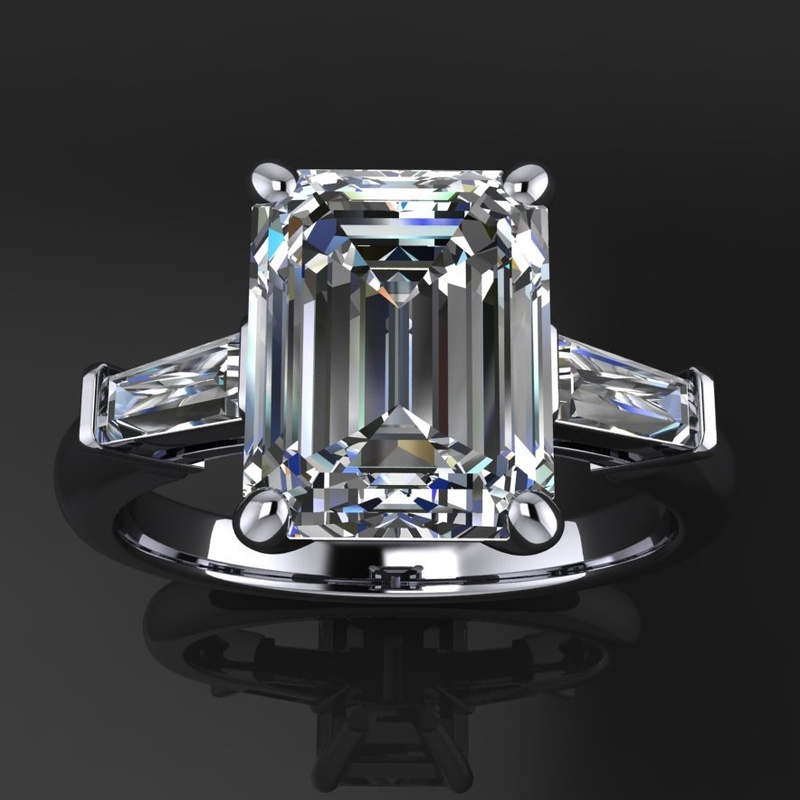 One 6.5 x 6.5mm asscher cut Forever One moissanite. 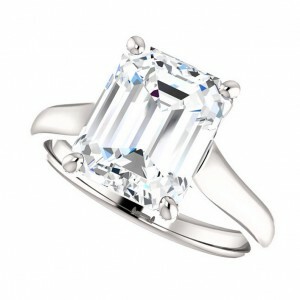 Includes gem certification/warranty.